Lee reasoned that his plans to invade Pennsylvaia would keep the war in the north and allow his army to feed off the rich northern farmlands. 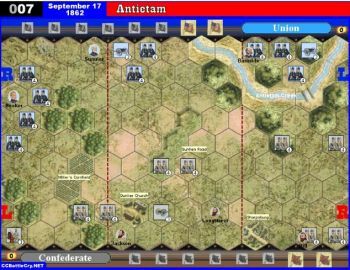 He further hoped another victory could influence Britain and France to recognize the Confederacy, and provide further “ammunition” to the Washington Peace Democrats and their cause. In early June, Lee started his army northwest to the Shenandoah Valley, then north across the Potomac and toward the Cumberland Valley. The Army of the Potomac, under its new commander, George Meade, marched swiftly north in pursuit. On July 1, the two armies made contact. 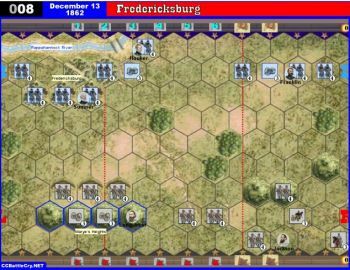 What began as a skirmish quickly escalated as both sides fed in reinforcements. 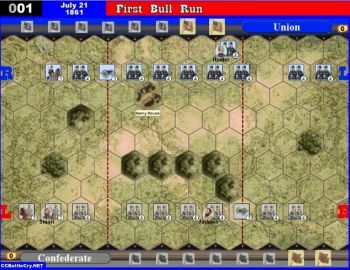 On July 2, Lee launched a series of attacks against the Union line. 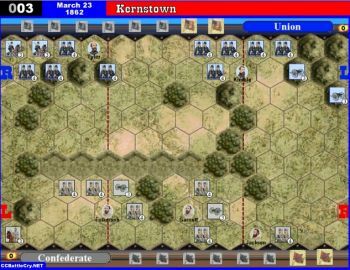 Longstreet began the attack around 4 p.m. 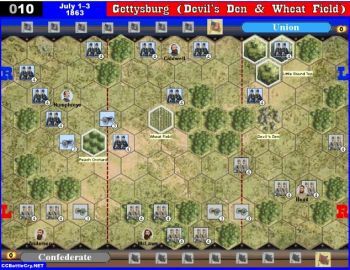 The fighting was often at close range, with federal troops bitterly contesting key points such as Little Round Top, Devil’s Den, and the Wheat Field. 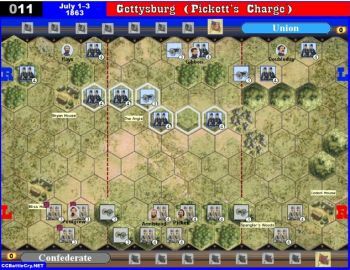 The second day, however, ended with the Union army still deployed in its defensive positions. 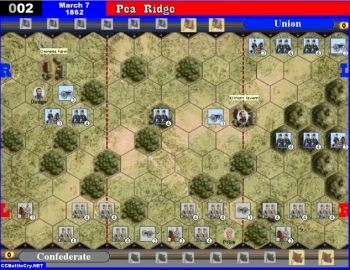 • At the start of the Confederate turn, if Confederate units occupy the Peach Orchard hex, Wheat Field hex, and any one of the Little Round Top hill hexes place 3 flag tokens on the Confederate victory stand. 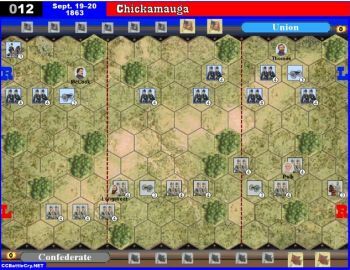 As long as Confederate units occupy all 3 hexes, it continues to count toward the Confederate victory. If any hex is not occupied, remove all 3 of the flag tokens from the victory stand. 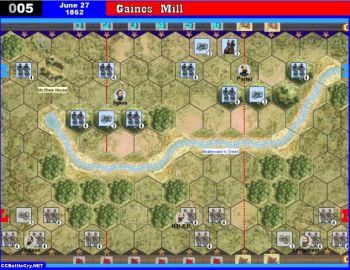 • An infantry unit may enter Devil’s Den, but must stop and may not battle that turn. 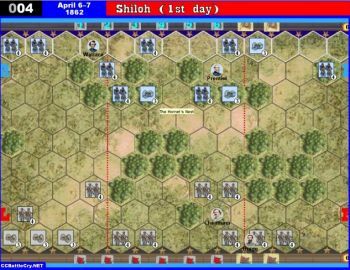 When targeting a unit on Devil’s Den, the defending unit may ignore 1 flag rolled against it, and the number of battle dice rolled against it is reduced by 2. 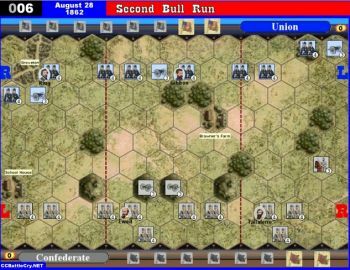 • A Union unit on any of the 3 hill hexes of Little Round Top may ignore 1 flag rolled against it. 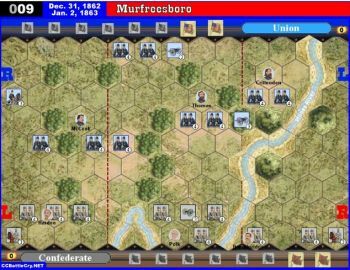 Just out of curiosity, has anyone, as the Confederates, managed to take the terrain objectives without also knocking out 7 Union units?